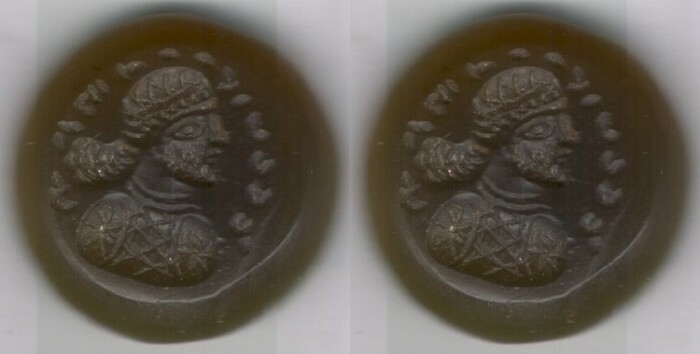 This old stone ring bears a portraitof a man looking right in Parthian/Sasanian hair style with legend(looks Aramaic) around his head. The stone is in brownish yellow in color, in round shape weighing 3.67gr. (20 X 6 mm. in size).